Before upgrading, backup the log and system database. Quit the current running time clock. Unzip and then replace the original executable file – tclock.exe. Run the Time Clock as usual, the database will not be affected. Go to the record, “right click” the record to enter the edit mode. Select “Edit this Attendance Record” > Enter the “Date and Time” and “Reader” information > Click “Update” and Select “OK” to confirm. 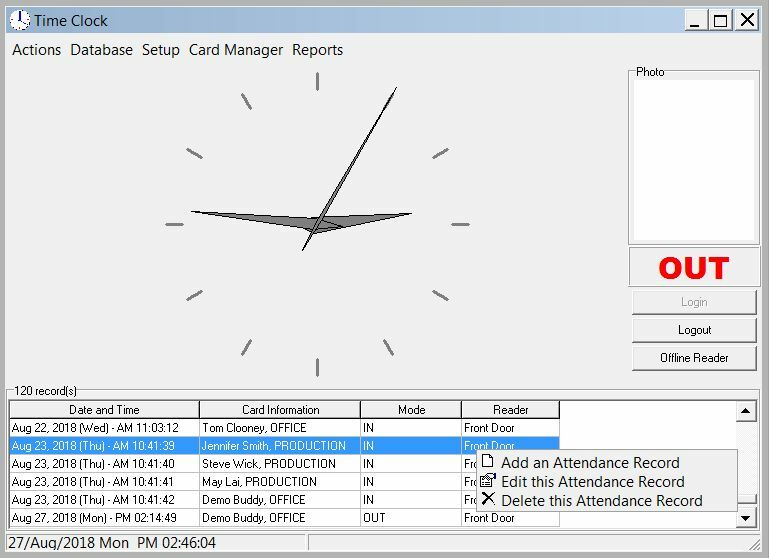 Please also see Time Clock user manual Sec 5.12 for details.